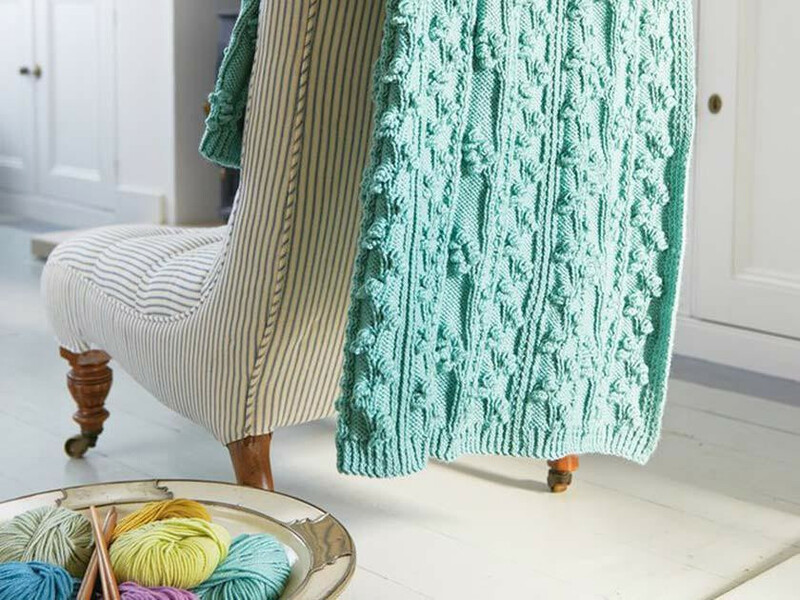 You can make some truly gorgeous garments and home interiors when knitting with texture. From cable to bobble and moss to rib, there are so many knitting stitches that can be worked to create a wonderfully tactile 3D texture. If knitting with texture is something you're not familiar with, we'll highlight three things you need to know when starting a project. 1. If you notice a gap has formed in your fabric, don't panic. They sometimes appear between the thicker textured areas of knitting, for example between two cables, but are an easy problem to fix. Try swapping your metal or plastic needles for some made from bamboo. They're not as slippery so will help close up any unwanted holes. 2. If you’re still getting an uneven fabric, double check that your tension measurement matches the one given in the knitting pattern. If it’s too loose, go down a needle size to tighten it up a little. Too tight? Use a larger needle instead. 3. Although it might seem unnatural, avoid pressing your finished pieces. If you do, you run the risk of crushing the texture you've worked so hard to create. If the edges of your makes are curling up, simply dampen them and pin them out on a bath towel to dry. When the pins are removed you’ll find the knitted pieces neat and ready to make up with all the luscious thick texture still remaining. If we've inspired you to get stitching, we have a number of wonderful patterns available to down load in our shop right now. Our Bud And Branch Pattern Blanket Knitting Pattern will look so chic draped over a chair, while any little lady will love the Girl's Bobble Heart Jumper Knitting Pattern. Or even treat your pooch to our Dog Jumper With Cables Knitting Pattern.